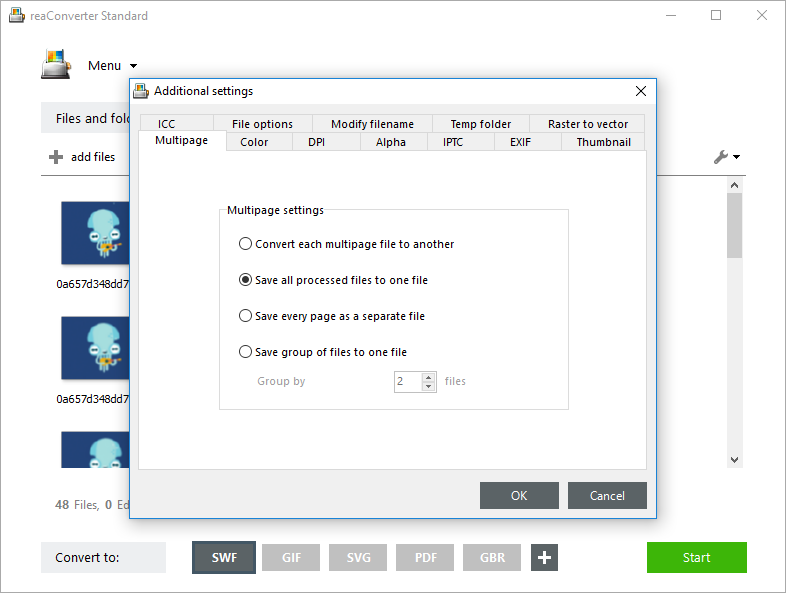 While some users think creating SWF animated images requires having Illustrator, Flash Builder or another advanced image editing software from Adobe, with reaConverter’s latest edition SWFs can be created in a matter of seconds. This powerful program allows you to do batch conversion of image files directly into the SWF format. 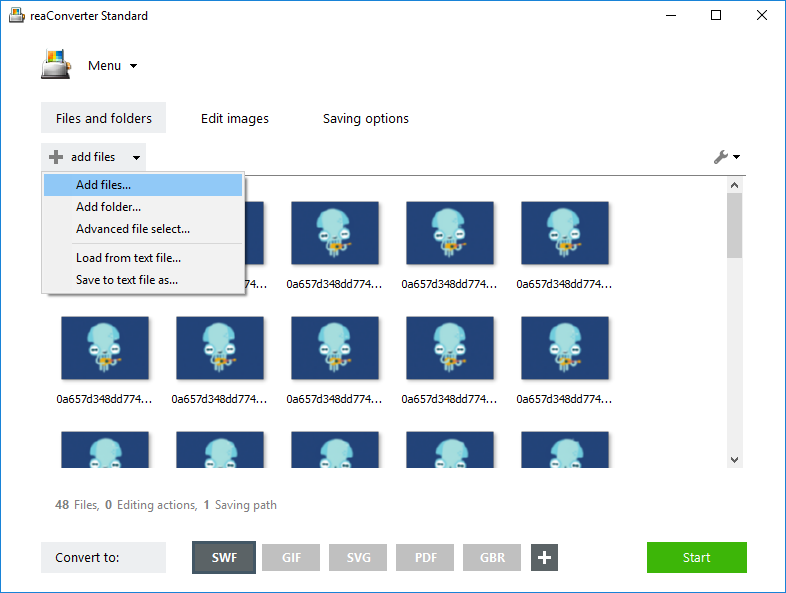 Add all the images you intend to include in the output SWF animated file. They can be of the same extension or of different ones. reaConverter can read over 600 image extensions, including vector and rare formats. 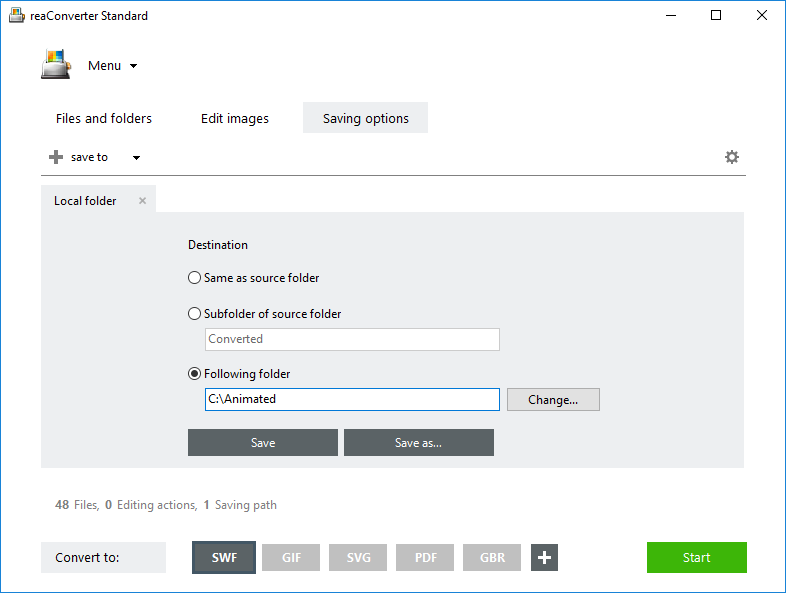 Drag-and-drop the images of your choice or use the Advanced file select option, that allows you to automatically add all files with a specific extension or size from a folder. 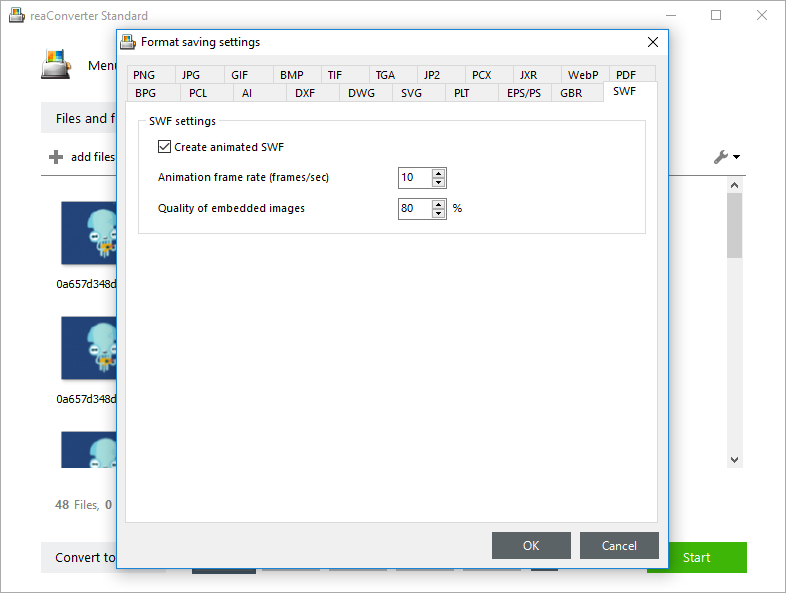 Make sure the Create animated SWF box is ticked and then choose an animated frame rate and a percentage to define the quality of embedded images. You can also reach this window by placing the pointer over the SWF button from the Convert to area of reaConverter’s main window, and clicking the Settings icon in its upper left corner. In the Saving options tab, pick the location of the output animated file. Finally, don’t forget to click the SWF button from the Convert to area. And just press Start! Advanced users can create SWF animation from command line interface or using DLL in manual, automated or scheduled mode. You are welcome to contact our technical support when you have any questions about reaConverter.